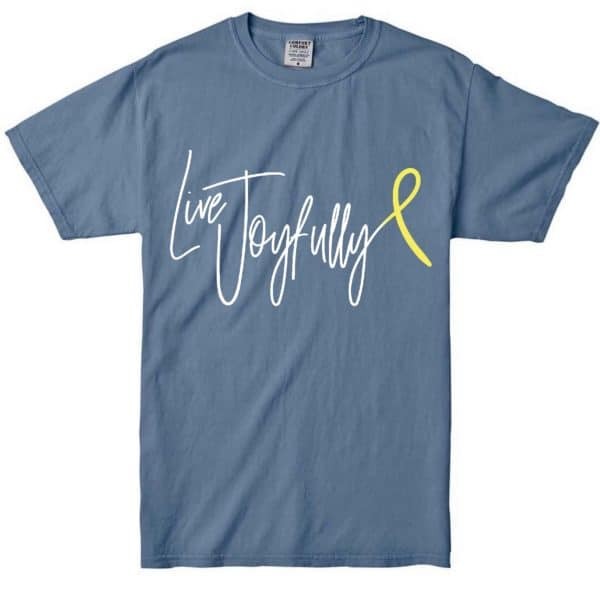 Inspired by Kylie’s life and new for September 2018, we’re excited to offer this new Live Joyfully t-shirt. 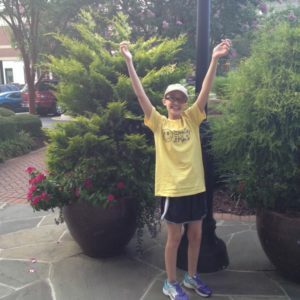 The slogan resolves into the gold ribbon for childhood cancer awareness. The shirt is Comfort Colors brand, 100% cotton. 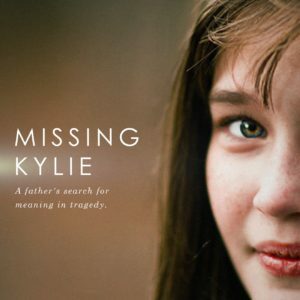 On the back is Kylie’s last instruction: “cure childhood cancer” along with the familiar Smiley for Kylie logo. Inspired by Kylie’s life and new for September 2018, we’re excited to offer this new Live Joyfully t-shirt. 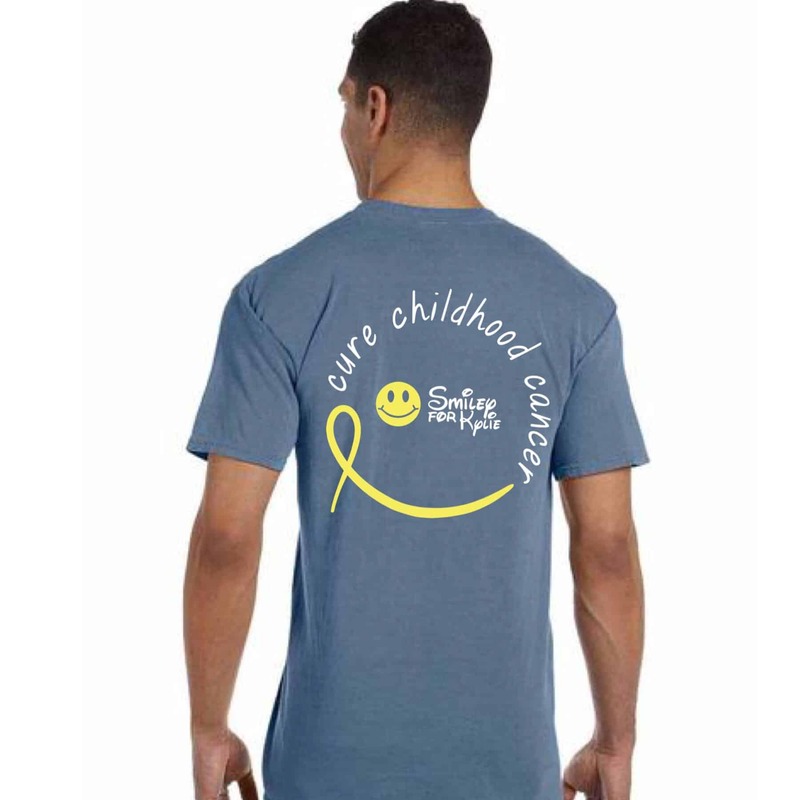 The slogan resolves into the gold ribbon for childhood cancer awareness. 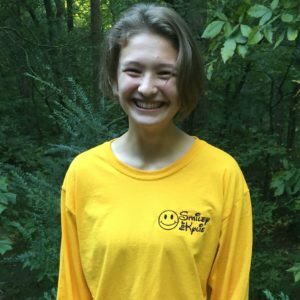 The shirt is Comfort Colors brand, 100% cotton. 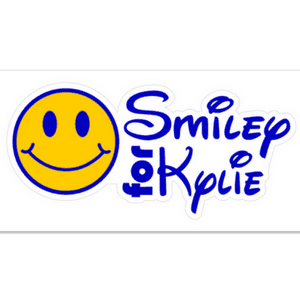 On the back is Kylie’s last instruction to us, “cure childhood cancer” along with the familiar Smiley for Kylie logo.